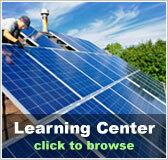 Montana residential solar energy incentives | Solar Panels | Solar Power | Site Map | Bookmark This Site! 100% tax credit of the cost and installation of a non-fossil form of energy installed in a home is offered to residential Montana taxpayers up to $500. The tax credit may be carried over for four taxable years after the energy system is installed. Eligible systems and technologies include; Passive Solar Space Heat, Solar Water Heat, Solar Space Heat, Photovoltaics, Wind, Biomass, Geothermal Heat Pumps, Low-Emission Wood Stoves, Small Hydroelectric, Fuel Cells using Renewable Fuels. Systems must be new and meet all performance and safety standards. 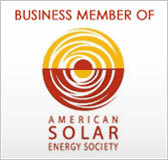 Through December 31, 2009, the Northwest Solar Cooperative offers to purchase “Green Tags” (the rights to the environmental attributes) derived from grid-connected photovoltaic or wind energy for $0.02 per kilowatt-hour. At the start of December 2009 these contracts may be renewed for another three-year term. Residential and non-residential owners who install PV and wind-energy systems are eligible to participate in the Green Tag Purchase Program. Other states aside from Montana that are eligible to participate in this program include; Washington, Idaho and Oregon. Participants agree to sell their Green Tags, report system malfunctions or failures, and submit meter readings of AC production every year. The NWSC will pay the participants by March 31 the following year of the Green Tag production. This program provides loans to people who install solar and wind energy systems, fuel cells using renewable fuels and biomass technologies to generate energy for their own personal use. The maximum loan amount for this program is $40,000 and has a maximum repayment period of ten years. The current interest rate for loans on this program are 3.5%. This is a property tax exemption for Montana residents who use recognized non-fossil forms of energy generation such as solar photovoltaics, passive solar, wind. Other exemptions include; decomposition of organic wastes, geothermal, non-hydrocarbon fuel cells, small hydropower plants, and low-emission wood or biomass combustor systems. An exemption up to $20,000 in value is allowed for single-family residential household and $100,000 for multi-family residential household or a nonresidential structure. NorthWestern Energy provides funding to its customers for renewable energy projects periodically. 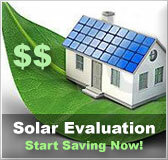 Solar PV installation incentives of $3.00/watt are offered to residential customers up to a maximum of $6,000 per customer. 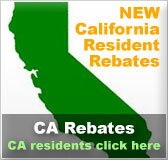 The incentive for wind is $2.00/watt up to $10,000 per customer.